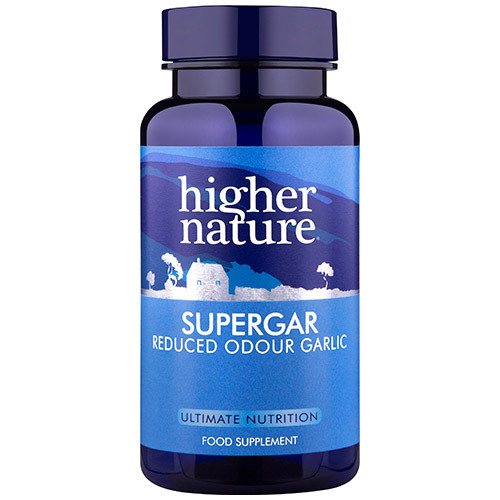 Possibly the strongest garlic supplement you can buy, Super Strength Supergar 8000 provides 8000 parts per million (ppm) allicin. Many don`t like the smell or taste from garlic so each tablet is specially coated to reduce any odour or aftertaste. Garlic usage stems back thousands of years. Garlic has long been considered a herbal wonder, with a reputation for supporting and maintaining immune function, digestive health and for supporting a healthy heart, arteries and healthy cholesterol levels. Allicin a major component of the thiosulfinates in garlic extract. The sulphur compound is the most important property derived from garlic and provides the greatest reputed support for health. Garlic eaten within the diet or taken as a supplement to the diet may well help support and maintain healthy cholesterol levels. Alliin is an organic compound that is a natural constituent of fresh garlic. When fresh garlic is chopped or crushed, the enzyme aliinase converts alliin into allicin which is primarily responsible for the aroma of fresh garlic. Allicin garlic powder, bulking agents: natural Lithothaminon calcarea; microcrystalline cellulose; anti-caking agents: stearic acid*, magnesium stearate*, silicon dioxide, coating: ethyl cellulose, ammonium hydroxide, medium chain triglycerides, oleic acid, sodium alginate, stearic acid. Adults and children over 12 years: Take 1 tablet a day, with meals, (up to 3 tablets a day may be taken during demanding times) or as your health professional advises. 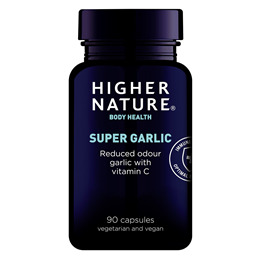 Below are reviews of Supergar 8000 - Super Strength Garlic - 90 Tablets by bodykind customers. If you have tried this product we'd love to hear what you think so please leave a review. Very good product, much better than other garlic tablets I have bought for my husband.